Pioneers in the industry, we offer laboratory equipment vertical autoclave and coil coating oven from India. Keeping in sync with the times, we are instrumental in manufacturing and supplying Laboratory Equipment. The range offered by us consists of Vertical Autoclave, Laminar Air Flow Bench and Refrigerated Bath. 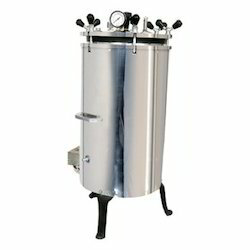 These equipment are manufactured according to the norms and standards already set by the industry. Also, our experts stringently examine these equipment on different parameters to ensure their flawlessness, before the final dispatch. The description of the product range is mentioned as under. 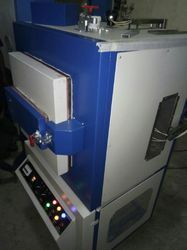 Coil Coating oven is used to check PMT.